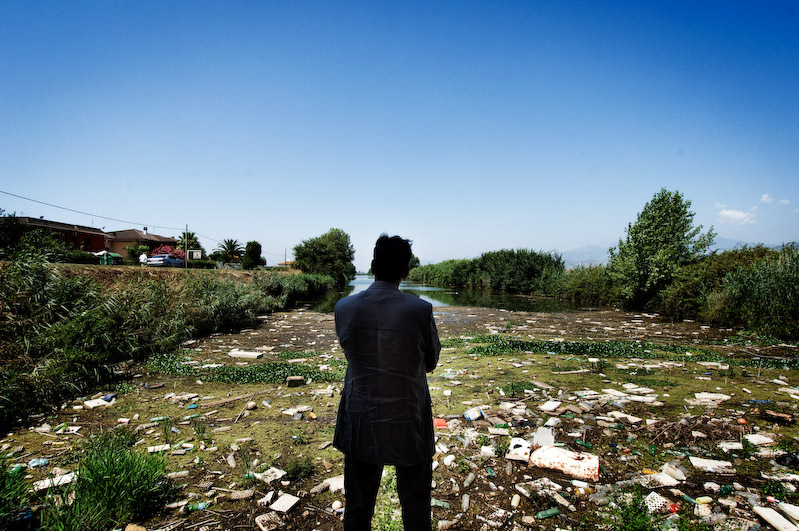 A highly polluted zone in the Lazio region of central Italy, located six kilometers from the town of Latina, in the Pontine Marshes. The Marshes are a vast, low-lying environmental system southeast of Rome that have bedevilled planners and builders before the ancient Romans even started to write their own history. Mussolini finally drained the Marshes with an ambitious system of canals. But now those canals are contaminating agricultural land and dumping farm, factory and domestic waste into the Mediterranean. Enter Alan Berger, FAAR’08. Berger is an Associate Professor of Landscape Architecture and Urban Design at the Massachusetts Institute of Technology’s Department of Urban Studies and Planning. He also directs MIT’s Project for Reclamation Excellence (P-REX), which provides transdisciplinary research and consultation on the planning and design of the natural and built environment. Berger had caught the attention of The New York Times already a couple of years ago, for his redesign of an area around an abandoned mine in Breckenridge, Colorado, as part of a Superfund cleanup underwritten by the Environmental Protection Agency. Thanks to a 2007-08 Prince Charitable Trusts Rome Prize in Landscape Architecture Fellowship at the American Academy in Rome, Berger was able to work closely with the Provincia di Latina Planning Agency and Consorzio dell’Agro Pontino in developing a set of innovative solutions for an environmentally challenged and challenging area. In addition to extensive archival research—more on that in a moment—Berger conducted aerial photography of the Latina region and created the largest contemporary image archive of the landscape systems (all that water!) and ecological conditions of the area. Berger’s studio at the American Academy in Rome, June 2008. Courtesy Alan Berger. The site strategy? To artificially re-introduce a gigantic new “wetland machine” (2.3 square km) for water filtering and biological exchange. Specifically, Berger’s design retro-fits and widens existing Pontine canals to serve as flow distributors. Plus he “terraforms” shallow ridges and valleys to hold and treat water. These soil cut and fill operations make raised areas for new public space and programs. The upshot? 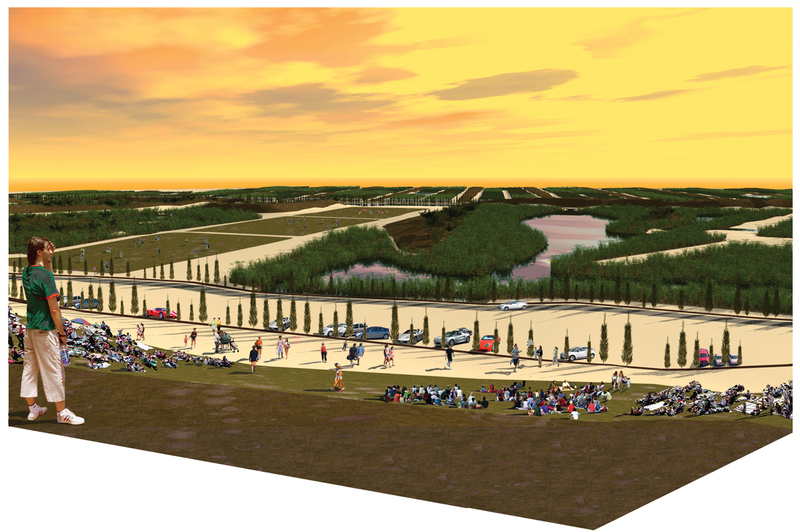 Berger’s “natural cleansing station” will drastically improve the regional water supply, spur biodiversity, and provide open space for recreation—in an area that now completely lacks large open landscapes with diverse vegetation. For more details, read here. 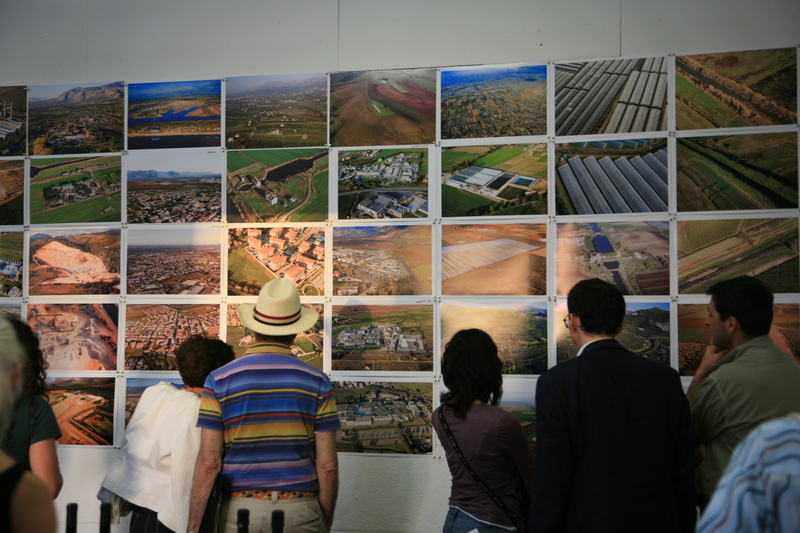 Working directly with the Provincia di Latina (the regional group controlling land use, infrastructure, and urbanization) and the Consorzio di Bonifica dell’ Agro Pontino (the group controlling canal maintenance and water usage for farming in the region), Berger made specially careful study of the archival records on the history of landscape reclamation in the Pontine Marshes. When building his Appian Way in 312 BC, Appius Claudius Caecus (“The Blind”) tried to drain the malarial Marshes. Julius Caesar had the project on his “to do” list, but the Ides of March put a damper on that. Later attempts came to little—by the Roman emperors Augustus, Trajan and (much later) Theodoric; the Popes Boniface VIII, Martin V, Pius IV, Sixtus V, and Pius VI; and, in the early years of the last century, the Prussian military man Fedor Maria von Donat. 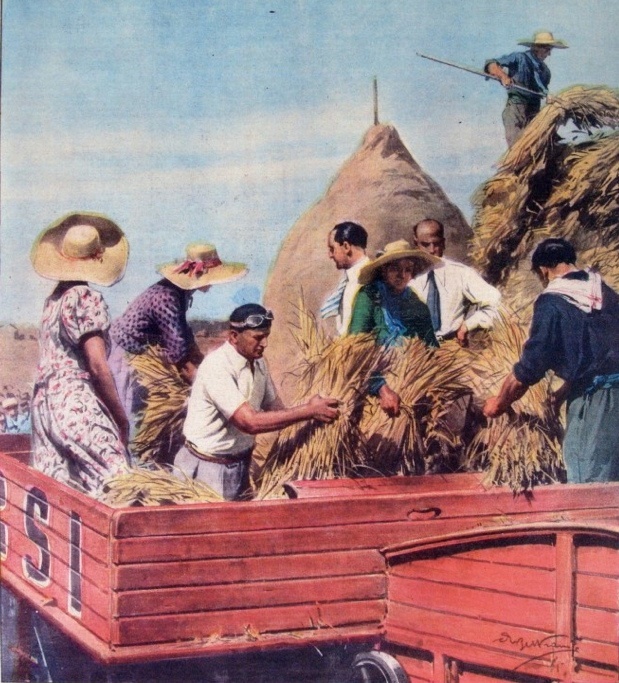 In 1928, a census of the entire area revealed just 1,637 inhabitants, most living in straw huts. Mussolini however saw that the Marshes were a vast landscape resource for Rome, and he initiated a series of large infrastructural and engineering projects to drain and reclaim the area. From 1928 to 1935, Fascist government engineers oversaw construction of almost 3000 kilometers of irrigation canals and 700 km of roads in the Marshes watershed. 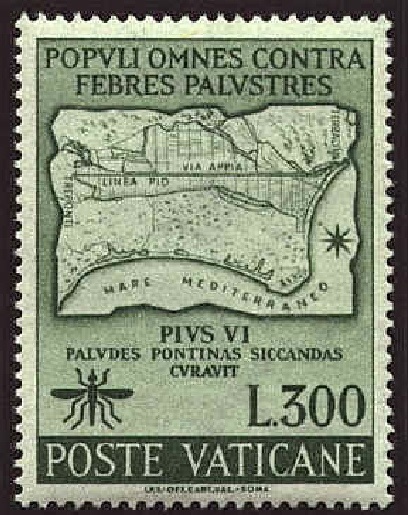 From 1932 through 1939 the area also saw the founding of five new towns, the first of which was Littoria (now Latina). Despite massive destruction of infrastructure in World War II—the Anzio beachhead lies at the northernmost end of the Marshes—the area has bounced back. The region currently holds about 15,000 km of canals, with a robust agricultural economy and more than 500,000 permanent residents in its watershed. 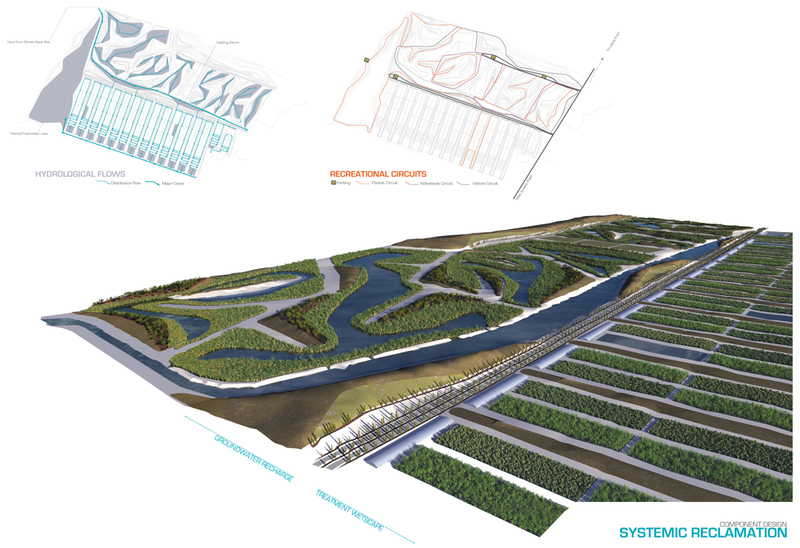 Berger’s Rome Prize research led to a Protocollo Agreement signed between the Provincia di Latina and Berger’s design lab at MIT, The Project for Reclamation Excellence (P-REX), in February 2008, to collaborate on planning and design for this new constructed wetland park. Alan Berger (right) at his June 2008 Open Studio. Photo: TC Brennan. This entry was posted on October 22, 2008 at 12:32 am and is filed under Uncategorized. You can follow any responses to this entry through the RSS 2.0 feed. You can leave a response, or trackback from your own site.